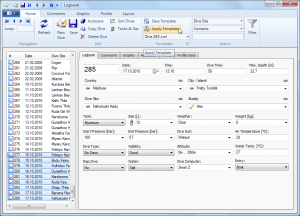 The next update will contain an improved template function. 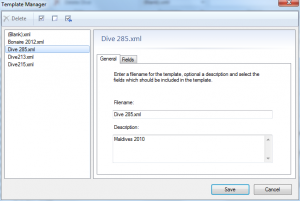 Templates are a great way to quickly update several dives at once where certain data remains identical. For example, during a vacation you only have to enter all data for the first dive. 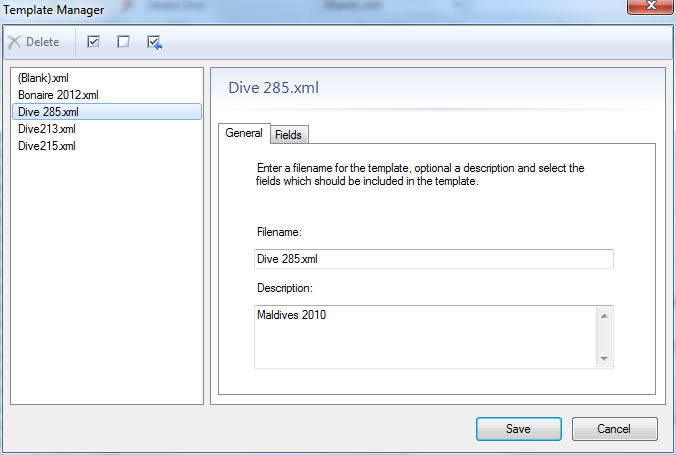 Then create a template from this dive by selecting all the fields that won’t change during the vacation, e.g. country, city/island, tank size and type, dive suit, etc. 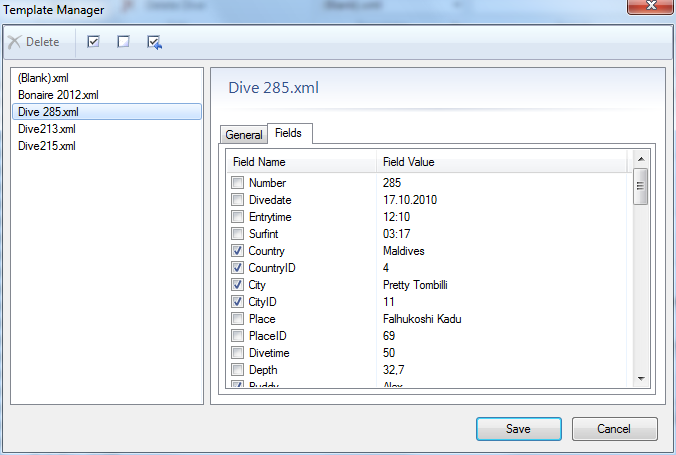 For the other dives you can simply apply the template and all the data gets filled in automatically. Up to now you couldn’t modify a template once you’ve saved it, which was a bit painful when you forgot to check some fields. In the next version you can update or overwrite any existing template and add or remove fields, which makes it a lot easier. 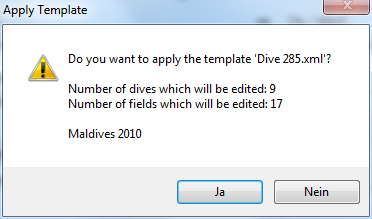 If you haven’t used it yet, I recommend you try it the next time you want to update several dives at once. You can also watch a short video, even though it’s from version 4.0. This entry was posted on Wednesday, April 24th, 2013 at 8:30 pm and is filed under Diving Log 5.0. You can follow any responses to this entry through the RSS 2.0 feed. Both comments and pings are currently closed. Thank’s Rainer! There will be another great new feature this week! Will this template update allow the template to handle multiple tanks ? Current version doesn’t seem to allow me to specificy that I have an AL80 with mix X, an AL40 with mix Y and a 19cu ft. with pure o2. No, sorry. 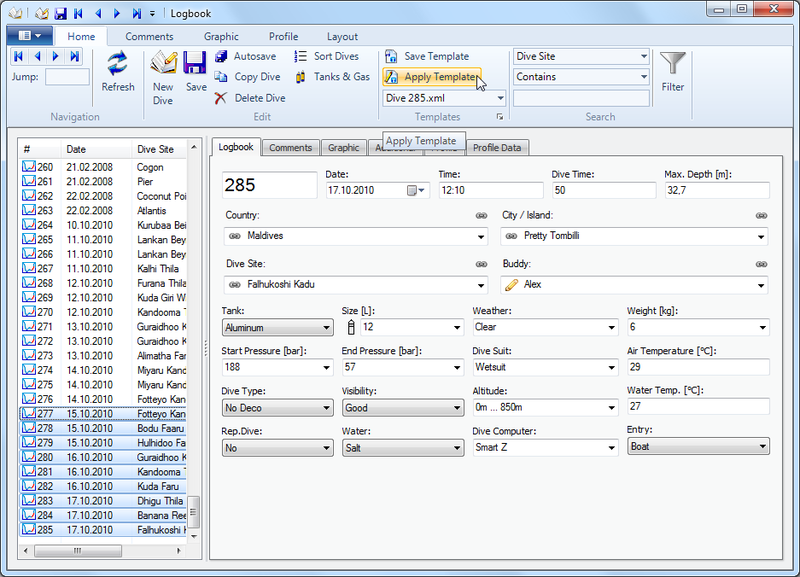 It’s not possible, because templates update only the logbook table, which contains just the first tank. All additional tanks are stored in a separate table. 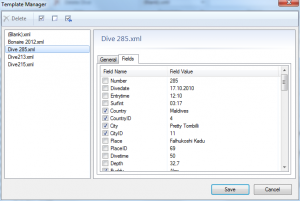 But normally the tank data is downloaded or imported automatically from the dive computer (when it’s supported), so this isn’t something you typically update through the template function. If you use the universal downloader you may want to try the import from the manufacturer software, because it imports probably all additional tanks automatically.